Dodge Ridge Ski Resort - Opens Today! Browse: Home » Dodge Ridge Ski Resort – Opens Today! Dodge Ridge Ski Resort – Opens Today! It’s time to break out the long underwear, the thermals, and beanies because it is Opening day at Dodge Ridge. Opening day at Dodge Ridge is Thanksgiving Day, Thursday November 25, 2010. Staff members are expecting a beautiful day with all chairlifts open and 80 percent of the terrain open. Just in the last five days they have received five and a half feet of fresh snow which is a record for the amount of snow fallen in November in 10 years. With these fantastic conditions, you can’t not visit Dodge Ridge. Dodge Ridge covers 832 acres, 1,600 feet of vertical and 62 runs. 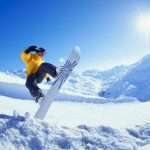 About 20 percent of the runs are for beginners, 40 percent for intermediary levels, and 40 percent are for advanced skiers and snowboarders. There are also 3 Freestyle terrain parks. All rentals, lessons, restaurants, shops, and slopes are open for a day of fun and adventure. 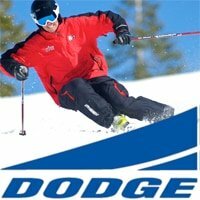 Dodge Ridge is offering special discounts for Thanksgiving Day including $39 lift tickets ($20 off the regular rate), with youth and senior tickets costing $10. 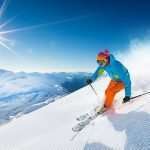 Take advantage of these special rates and perfect snow conditions. If you know you will be traveling to Dodge Ridge frequently, pick up your season pass now for the best prices. For adults and teens it is $399 and for children and seniors it is $159. For more information about conditions and general information please call 209-965-3474 for the main phone and: 209-536-5300 for snow conditions. The address for Dodge Ridge is 1 Dodge Ridge Road, Pinecrest, CA 95364. Be advised that you should travel with chains and back up supplies in case something happens. Dodge Ridge’s official website is http://www.dodgeridge.com/site/ where you can check weather and slope conditions. Dodge Ridge is open daily from 9am to 4pm. Dodge Ridge is located close to Highway 108, about 30 minutes past Sonora and Jamestown. 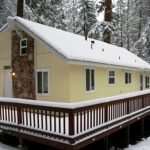 It’s the closest snow to the bay area and offers many convenient cabins, hotels, and motels in the area as well as other activities including tubing at Leeland Snow Park, and ice skating at Long Barn Ice Skating Rink.